Kyle grew up in Austin after moving from the Midwest at 5 years old. In 2004, the club's inaugural season, he was selected on to Lonestar's top U11 team. He played for Lonestar his whole youth career, all the way through the U18 Developmental Academy. Kyle played for McNeil High School, captaining them to a State Final in 2011. After graduating in 2012, he played at Northern Illinois University for a year. Kyle transferred to Texas A&M, where he graduated with a Bachelor of Science in Psychology and an Economics minor. 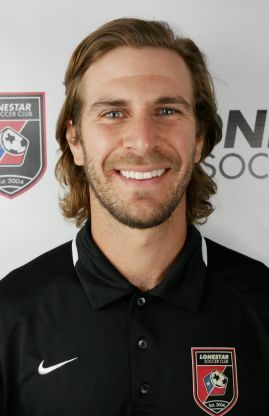 Kyle has been passionate about coaching from a young age and loves to see the joy soccer can bring young people every day. Camps, developmental training, technical training, etc.